You are currently browsing the tag archive for the ‘Mayan’ tag. 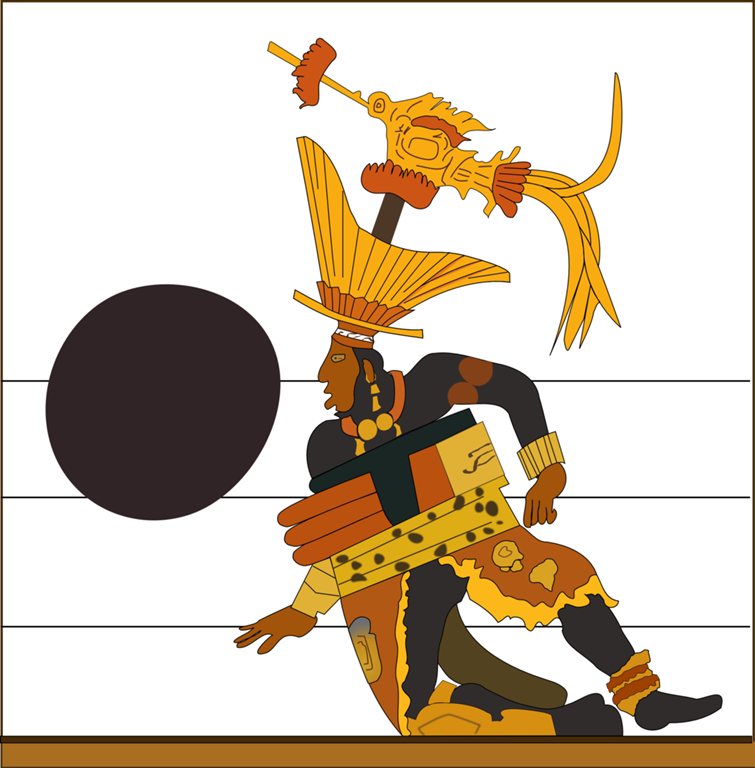 A recent Death Café Corvallis included discussion of a sports event practiced by the ancient Mayans and other Mesoamericans at least as early as 1500 BCE. This was a team sport in which the objective was to get a ball through the hole of a vertical stone ring without using hands or feet. The game has numerous names including pok-ta-pok, pitz, and the version still played today – ulama. A notable aspect of pok-ta-pok is that some ritual matches ended with one of the teams being sacrificed – beheaded, burnt, or both. 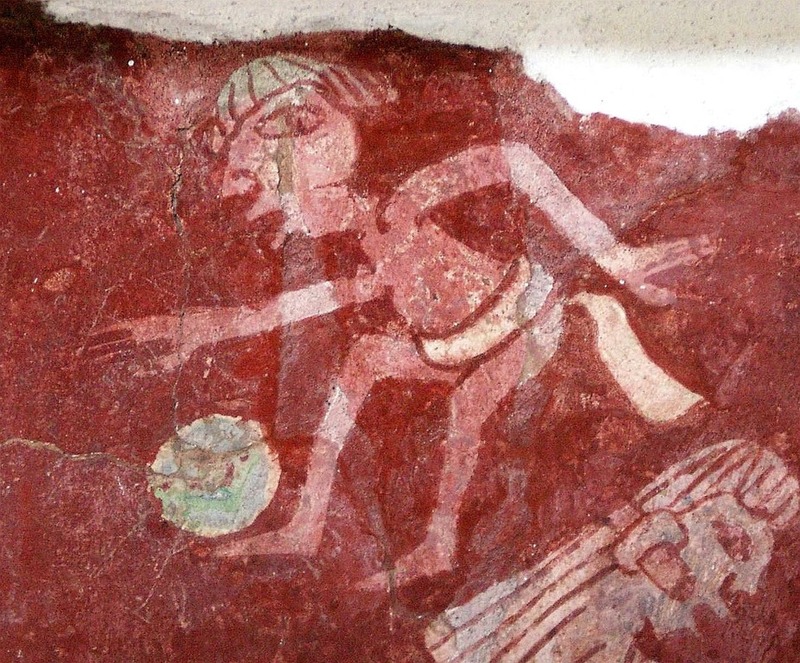 Whether it was the winning team or losing team that was sacrificed is a matter of debate, though the majority of Mesoamerican scholars maintain that death was the cost of defeat. Pok-ta-pok is prominently featured in the Mayan Popol Vuh, an epic tale that includes a creation story and descent into the underworld. This is a great myth which I highly recommend. The Hero Twins, Hunahpú and Xbalanqué, brave horrors of the underworld in order to resurrect their father, which they accomplish by winning a pok-ta-pok tournament played with his skull. Pok-ta-pok was a violent game in which players sometimes died from injury during the match. The game resembles a combination of soccer, basketball, hacky sack, and jai alai. A modern depiction of pok-ta-pok at least in the spirit of its violence is the 1975 film Rollerball in which a global totalitarian corporate government has replace war with an ultra-violent sport, which resembles pok-ta-pok is several respects. A version of the game, ulama, is played today in Mexico and throughout the Americas – minus the stone ring and sacrifices. Jon facilitates Death Cafe Corvallis which is open to all and meets weekly in Corvallis Oregon.